Opera has joined in the argument over Flash, with the company telling TechRadar that it will support Flash for the time being, but that Adobe needs to start embracing web standards if it doesn't want to come under constant attack. Opera's growing influence in browsers has been illustrated by the huge take-up of the Opera browser for iPhone, but as that company shocked the tech world by actually getting the product through Apple's vetting process, Adobe found itself under fire from Steve Jobs himself. Opera's product analyst Phillip Grønvold believes that support for Flash is critical at the current time, but that times are changing fast as HTML5 moves closer. "Today's internet content is dependant on Flash," said Grønvold. "If you remove Flash you do not have today's internet. "We are trying to give the best internet experience for our users therefore we need Flash - there is no way to beat around that bush." "But at Opera we say that the future of the web is open web standards and Flash is not an open web standards technology. "Flash does have its purposes and will have its purposes, the same as [Microsoft's] Silverlight and others, especially for dynamic content. "But flash as a video container makes very little sense for CPU, WiFi battery usage etcetera – you can cook an egg on [devices] once you start running Flash on them and there's a reason for that." Grønvold believes that Adobe must move fast to embrace the openness of the web if it is to evade the kind of PR disaster that was Jobs' uncharacteristically lengthy diatribe about the company. 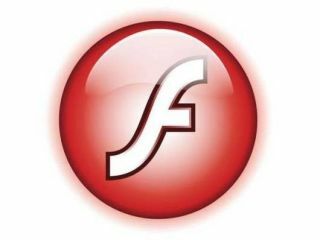 "For some reason it's not part of the fabric of the web currently and Flash either needs to include itself in the future of the web and open web standards or its technology is going to be consistently under attack from all sides as the open web standard movement grows further and further," said Grønvold. "Because eventually we will have the canvas [of the web] in good quality and we'll have the toolsets to use that canvas in the quality but in the foreseeable future, 18 months or so, Flash is not going away and it is critical." So, no stinging rebuke from Opera – but it is clear that the web giants are not rushing to defend Adobe from the might of Apple, and that in itself speaks volumes.